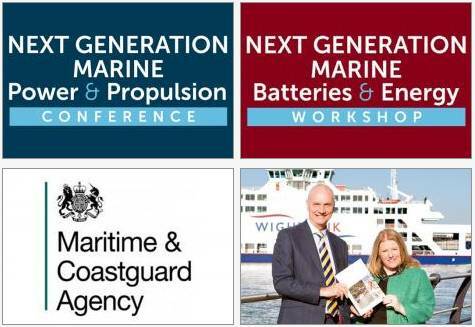 The Next Generation Marine Power & Propulsion event was held in the Grand Harbour conference venue looking out over the Port of Southampton where cruise ships, oil tankers and the world's largest container vessels ply their global trade. The event brought together a broad and unique marine industry group from the UK, EU and US. A dynamic program, including three keynote speakers and 20 presenters, highlighted the latest technology and opportunities for the maritime sector worldwide – and the future for next generation marine power certainly looks bright. Professor Ajit Shenoi, Director of Southampton Marine & Maritime Institute (SMMI), opened the conference with a keynote, “Global Marine Technology Trends – 2030 and Beyond.” He highlighted the recent report, produced jointly with Lloyd’s Register and Qinetiq, which identified 18 technologies that are likely to shape the future of the marine and maritime sectors up to 2030. Advanced engines, alternative fuels, propulsion energy saving devices, hybrid and renewable sources of power and emissions abatement are all identified as likely technologies that will shape the future. Captain Don Cockrill, Secretary General of UK Maritime Pilots Association, opened Day 2 with a keynote, “Powering the Modern Port – Ships, Tugs and the Hidden Fleet of Support Vessels.” As a Master Mariner and Maritime Pilot he has an insider’s view of our ports, where ships load and discharge their cargoes. His overview showed that there is a complex diversity of maritime workhorse vessels that make essential contributions to the safety and efficiency of port operations. The variety of their diverse and often innovative propulsion designs was highly relevant to the audience. Captain Andrew Moll, Deputy Chief Inspector of the Marine Accident Investigation Branch (MAIB), opened Day 3 with a keynote, “How Emerging Technology can Create Problems at Sea as well as Providing Solutions.” Evidence from accident investigation indicates that the introduction at sea of emerging technologies can create unforeseen problems. On the technical side it can be difficult to assess what checks and balances to apply to new technologies, with the result that old rules and standards are initially applied until sufficient experience is gained for adjustments to be made. 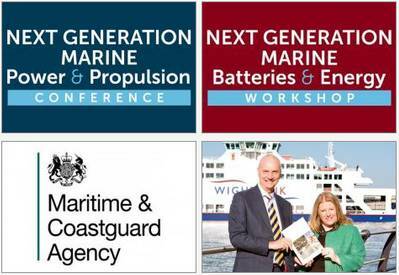 John Haynes, Next Gen Event Organizer & Chairman, announced that the Maritime Coastguard Agency (MCA) had released MGN 550, “Guidance for Safe Design, Installation and Operation of Lithium-ion Batteries,” on April 28 to coincide with the Next Generation Marine Power Workshop. In October 2015 he brought together a working group to assist MCA Technology during the Hybrid Marine Power Conference at the RNLI Lifeboat College. The high level panel included hybrid, battery and electric subject matter experts from sectors including automotive, aviation and power grid. In January 2016 he presented on “Hybrid Superyachts and Tenders” at the London International Superyacht Forum, where MCA released the draft Battery MGN. In recent years the use of lithium-ion batteries in the marine industry has risen mainly due to improvements in technology and the economic or legal drivers which require the cutting of fuel costs and exhaust emissions. Lithium-ion and other battery technologies have become viable energy storage options due to their high energy density and capacity for high charge/discharge rates which allow them to be used for hotel or auxiliary loads and low power applications including low speed propulsion. The guidance aims to facilitate safe and environmentally-friendly lithium-ion battery solutions for vessels utilizing lithium-ion batteries as part of a hybrid power system or as the sole source of propulsion power. Coincidentally, on the last day of the Next Generation Power conference UK operator Wightlink Ferries announced that they have signed a contract to build a new Hybrid ship for the Portsmouth to Fishbourne. The new ferry will be slightly larger than the flagship Wightlink ferry St Clare and will be the most environmentally friendly ever to serve the Isle of Wight route. It will cost over €30 million and enter service in 2018 using hybrid battery technology, as well as conventional fuel, to reduce emissions and make the vessel quieter. The new ferry will have two fixed vehicle decks to hold the equivalent of 178 cars and space for more than 1,000 people on board with luxurious and comfortable seats and cafés. The Cemre shipyard in Turkey has won the contract to carry out the work.